Online English proficiency tests for companies, schools and individuals. We usually make an annual recap at the end of calendar year. However, summer time is a good chance to look at some special English assessment usage numbers. Here is one of them. 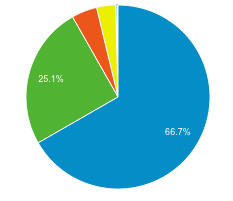 If you were wondering where most of you take our English test, here is a quick geolocation summary of TrackTest registered users (not visits). Articles about English language testing and English exams, product news from TrackTest English Online Assessment. TrackTest.eu Online English Assessment for companies and individuals .
. Awesome Inc. theme. Theme images by urbanco. Powered by Blogger.